(Tower of Jewels) Houston, we are ready for blastoff! Excuse us, but the floriferous Tower of Jewels is so huge that it looks like a model rocket rising up from a columnar launch pad of narrow-leafed, silvery foliage. 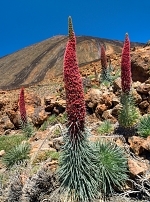 In its first year, the plant forms a short, attractive rosette of foliage that shoots upward at maturity in its second spring when this perennial flowers. 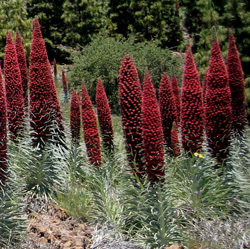 That's when it sends up long-blooming spikes of dark pink-to-red flowers that can reach 7 feet tall. Allow the flowers to mature and they help reseed this spectacular plant as well as feed songbirds. 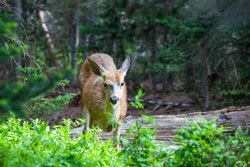 While in bloom, they attract honeybees and butterflies, but not deer. Tower of Jewels thrives with average watering based on local conditions, but tolerates drought. It also handles heat well. 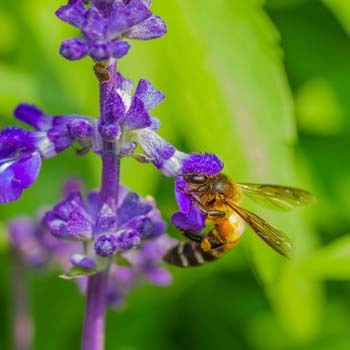 Similar to most Salvias, it isn't picky about soils but requires excellent drainage. 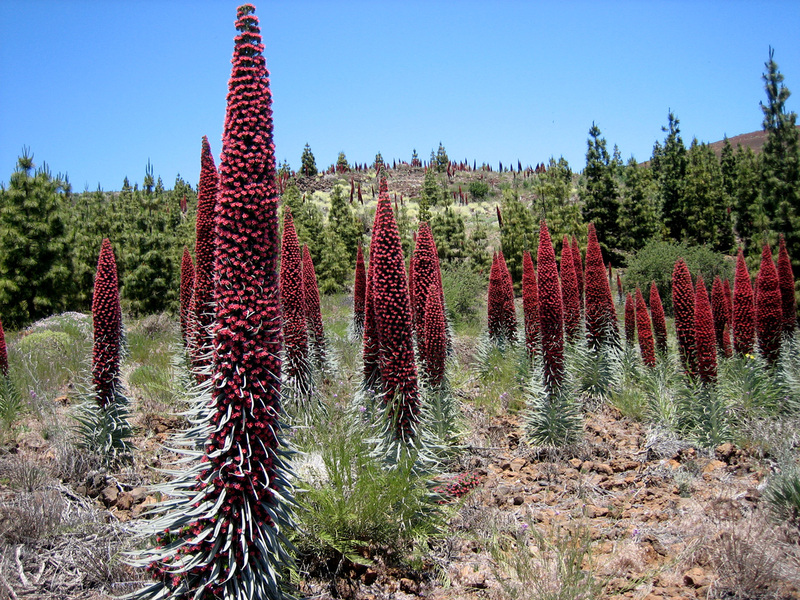 The epithet "wildpretii" honors German botanist Hermann Josef Wildpret (1834-1908) who first introduced	Echium wildpretii to horticulture in the 19th century. 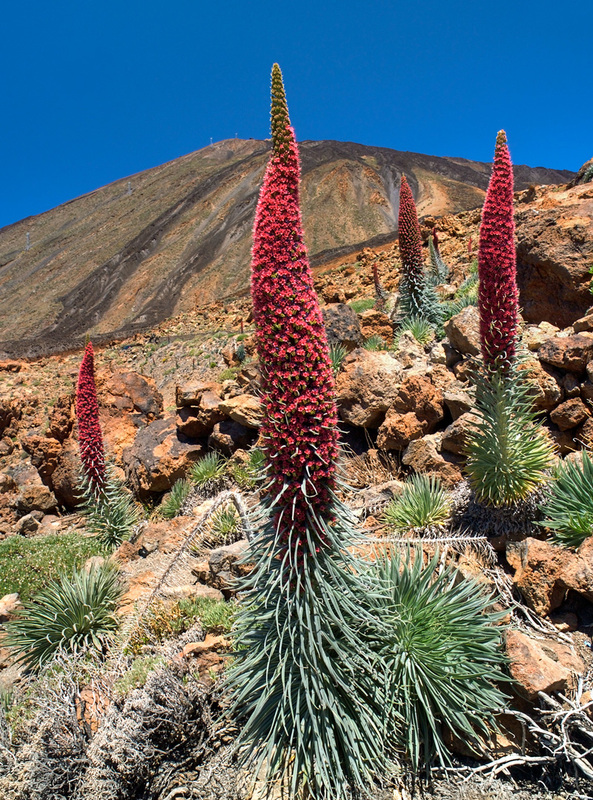 He collected it in the Canary Islands, where it is known as the "Orgullo de Tenerife" or the "Pride of Tenerife." 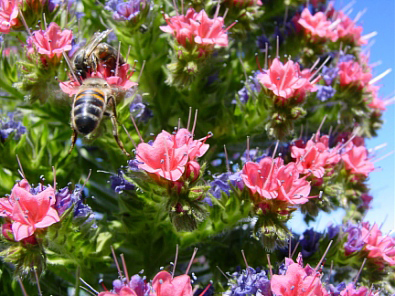 Other common names include Red Bugloss and Wildpret's Bugloss. Obviously, this is a great accent plant that causes people as well as pollinators to pause. It thrives in USDA Zones with warmer winter temperatures, but some gardeners in colder areas venture growing it in containers.